Lillian and her husband Bill handpicked many of the items that make up the home including Vertical-grain fir paneling which gives the home an awesome retro vibe. Amazingly, most of the original elements of the home are still intact today. Some of the things that were renovated to help modernize the home were appliances, countertops and flooring which luckily, do not diminish the midcentury appeal. One of the things that hasn’t been updated is the original lighting that illuminates the home when natural light isn’t available. 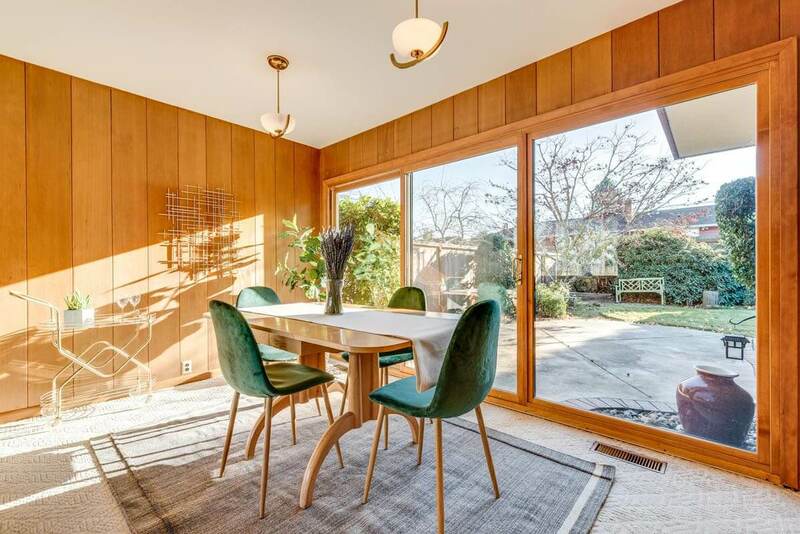 This three-bedroom, two-bath mid century marvel is in search of a new owner and is on the market with an asking price of $595,000. Even though it has been decades since Wright’s death, his mid century architectural style remains timeless. For more photos of the home, head here!